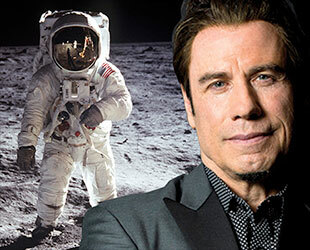 – Actor John Travolta will lead a celebration of the first manned moon landing this summer, joining with astronaut Buzz Aldrin to launch a new education initiative. 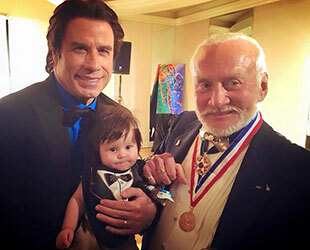 Travolta on Thursday (April 2) was announced as the host of the "launch gala" for Aldrin's not-for-profit ShareSpace Foundation to be held July 18 at NASA's Kennedy Space Center in Florida. 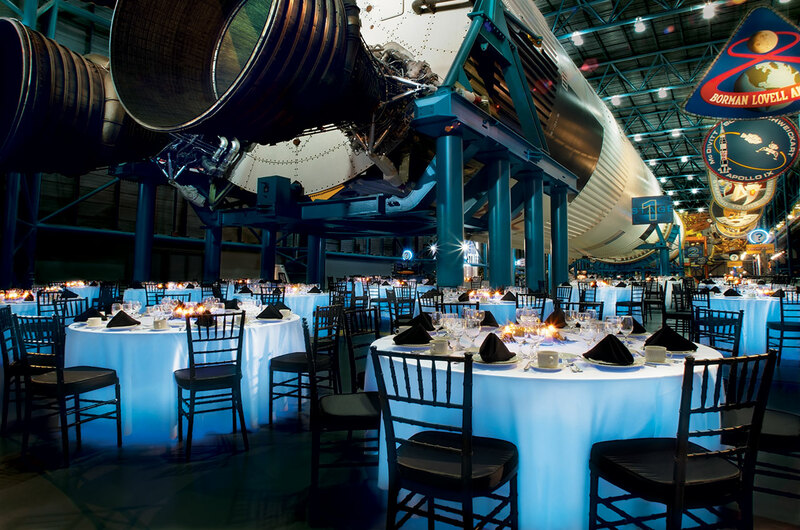 The black-tie event will be staged under one of the last surviving Saturn V rockets, the same type of booster that Aldrin and his fellow Apollo 11 crew mates Neil Armstrong and Michael Collins flew atop to begin their journey to the moon in 1969. "They have flown together, celebrated together, and now Apollo 11 astronaut Buzz Aldrin and celebrity and aviator John Travolta will be launching Aldrin's non-profit together while honoring the Apollo 11 mission!" stated ShareSpace officials in a release. Aldrin first founded ShareSpace more than 15 years ago as a non-profit devoted to promoting space tourism for the masses. Now, he's re-launching the foundation with a new mission, seeking to address science literacy by delivering children's hands-on activities and inspirational messages. "Science, technology, engineering and math, coupled with artistry, [or] STEAM, is the engine that will advance our society," Aldrin said. "It is our responsibility to inspire the generations after us to be creative, imaginative and above all innovative." 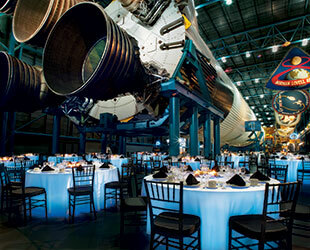 Gala attendees will dine on fine cuisine under the 363-foot-long (110-meter) Saturn V, surrounded by space artifacts, before being seated in the "Lunar Theater" to hear Aldrin and Travolta recount the Apollo 11 mission from their two perspectives. "I was in Lexington, Kentucky. My girlfriend and I were doing summer theater as apprentices — we were 15 years old — and I remember the TV was on in the motel room," Travolta recounted in a video he recorded for last year's 45th anniversary of the moon landing. "I remember feeling a remarkable change, not just in history, but in aerospace and aviation." "It felt like we'd opened up a new chapter that was never going to stop," he recalled. "It was the end of an era, but it was also the beginning of a kind of hope." Other astronauts and Apollo veterans are expected to join in the dinner, sharing their stories during the celebration. The ShareSpace gala will conclude with dessert, coffee and the close of a special silent auction featuring Apollo 11 memorabilia. Proceeds from the auction, as well from the evening itself, will benefit the ShareSpace Foundation. Tickets, limited to only 150 people, are $1200 and include a photograph with Travolta and Aldrin. For $1,000 more, guests can upgrade to an even more exclusive VIP experience, limited to just 25 people, which includes a private reception with the actor and astronaut, as well as an after party and breakfast the next morning. This is not the first time that Travolta has helped mark a milestone in flight. In December 2002, the "Saturday Night Fever" and "Pulp Fiction" star joined Armstrong and John Glenn, together with other aviation and space pioneers, to kick off the Smithsonian's festivities for the centennial of flight. And in 2005, Travolta joined astronauts and cosmonauts at the Kennedy Space Center Visitor Complex to celebrate the 30th anniversary of the Apollo-Soyuz Test Project, the first joint mission between the United States and Russia. The Apollo 11 mission launched from Cape Canaveral on July 16, 1969. Four days later, as Michael Collins orbited above, Neil Armstrong and Buzz Aldrin landed the lunar module Eagle at Tranquility Base, becoming the first two men on the moon. The historic flight concluded on July 24 with a safe splashdown in the Pacific Ocean. 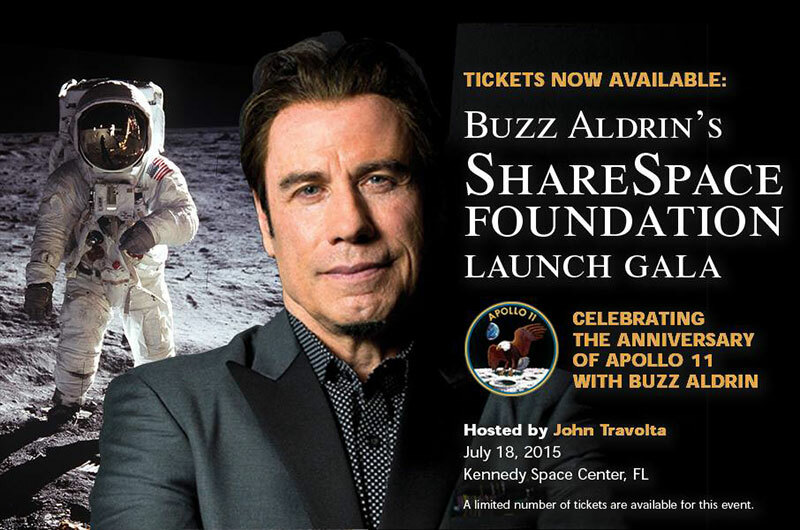 For more information or to buy tickets, see the website for Buzz Aldrin's ShareSpace Foundation.